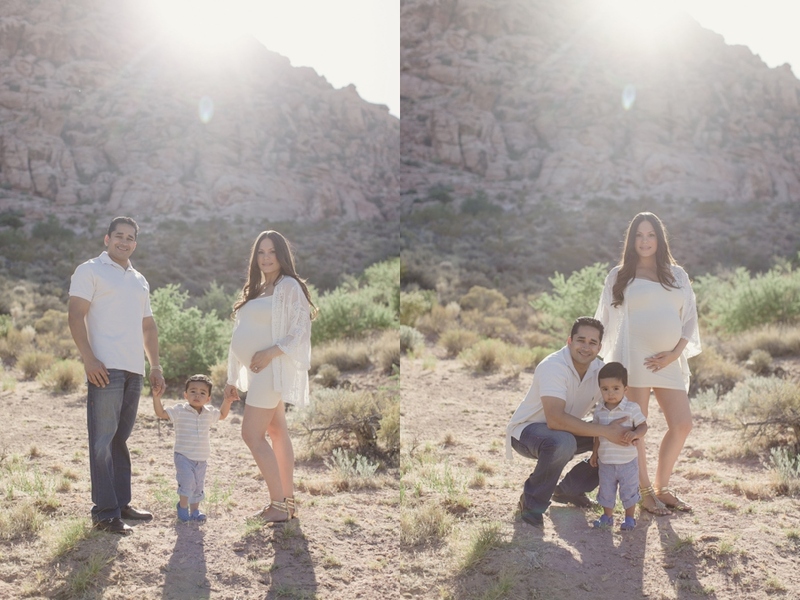 Monica’s Maternity and Family Portraits. Monica is expecting her first baby girl this Summer. To celebrate we headed out towards Red Rock Canyon inside Calico Basin. With the Sunset around the corner we headed up a little trail to photograph some moving portraits. For the beginning of our photo shoot the sun just hung above the mountains giving us a beautiful soft light as a warming backdrop. It is always nice as a photographer when we can have this specula and limited hour of light. With adorable matching outfits this handsome family worked the camera very well. There is something about a touching moment between a Mother and her Son that is just so moving. 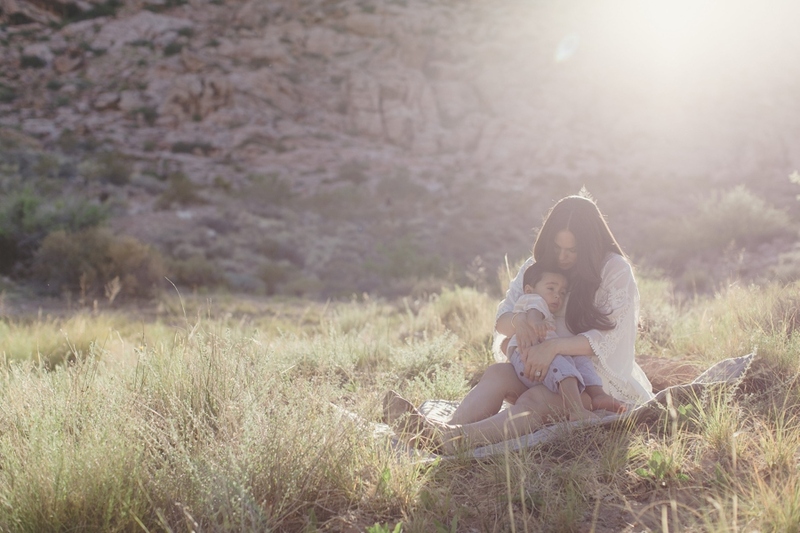 As we laid the blanket down amongst the desert plants and grass, Monica embraced her first born for a few moments. My favorite part of a photographer is capturing moving moments like this where its just a natural feel. Monca’s Blue Dress flowed beautifully with the soft breeze and accented her baby bump perfectly. Glowing as many Woman do while expecting, you can see the Maternal love for a child she has yet to meet. Something about a Mothers bond to a child is magical. I can feel their family love and support in the air whenever I have the blessing to photograph this lovely family. I never get tired of photographing beautiful silhouettes. This creative exposure no matter black and white or color is always just a beautiful moment that makes you feel. Here the sun just poking out from the mountains just made me so happy when I shot this.